3 Crossroads - Stripped In Manhattan C.D. 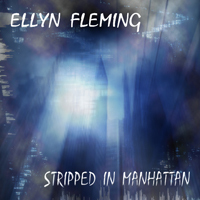 4 A Bit Obscene - Stripped In Manhattan C.D. 6 Rollercoaster - Stripped In Manhattan C.D. 8 Rock This Love- Acoustic-Stripped In Manhattan C.D. 9 I Can't Sleep At Night- Acoustic- Stripped in Manhattan C.D. 10 You Own Me - Stripped In Manhattan C.D. 12 The Way You Move- Acoustic- Stirpped In Manhattan C.D.